Do you already have a franking machine? Franking machines are pre-programmed machines that feed and stamp mail with the appropriate postal mark representing mail charges based on weight and destination. 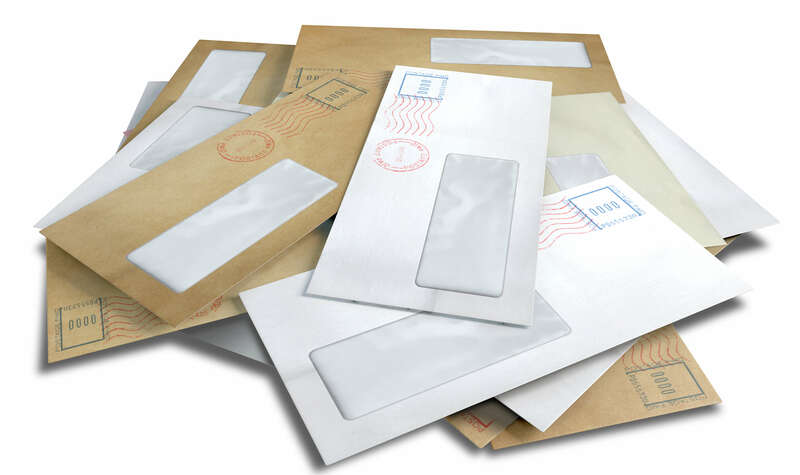 Instead of having to stick stamps on parcels or letters by hand, a franking machine is used to apply a franking mark to lots of envelopes very quickly. Every time the machine prints, the according postage fee is deducted from the business holder’s account. Franking prices are set by Royal Mail and to provide an advantage to businesses that send a lot of business post, franking prices are cheaper than regular stamps. Modern machines save a lot of time by always keeping the tariffs up to date via remote updates either by telephone or a local area network connection. What Is A Franking Machine Used For? A franking machine is used to send a large amount of post with minimal effort. The fact that franking postage is cheaper than regular stamps is of course a big advantage fur business owners, but the primary franking machine function is to apply postage to many letter or parcels quickly. The machine prints a franking mark which signifies the amount of postage that has been paid, so no stamp needs to be stuck to the letter. Every kind of postage can be applied with a franking machine, from regular 2nd class postage to Special Delivery™ 9am. In addition, a franking machine can be used to print other things on the letter, such as a company logo or other form of personalisation. You can also apply a return postage to your post to entice your customers to engage with your communication. Compared to stamp prices, you can save substantially with franked mail. By using a Royal Mail approved franking machine, you could save between 21% and 34% on first and second class mail. Another benefit of using them is that it will report on your postage costs, making it easy to claim full expenses on your tax return. There are also a wide range of them available to suit many different businesses. Avoid under stamping: if items are under-stamped then the recipient has to pay the difference. This can cause a burden to your customers and cost them money. Prices for franking machines can vary widely. For example, you can purchase a low-volume machines from around £995 or rent one for around £19 a month. Mid-volume models are designed to work at speeds of up to 40 letters per minute, and will often have additional features such as accounting records, automatic rate updates, weighing platform & scales and up to 10 programmable slogans that can be selected to print alongside postage stamps. This is an excellent way of advertising and such machines can cost somewhere in the region of £3,000 to purchase or £60 a month to rent from most reputable dealers. High volume machines capable of feeding up to 300 mail items per minute, sealing and stacking them, and a whole host of other advanced features can cost anywhere from a few thousand pounds to over £20,000 to buy or £100 – £400 a month to rent. Many businesses prefer to rent their franking machine as opposed to buying one as the cost of renting a franking machine can be spread over a number of months, allowing a business to take instant advantage of the convenience and postal savings provided. The machine will never be yours but it will remain installed and working for as long as you rent it, with rental prices starting from as low as around £14 a month. Many top dealers will offer a 30 day free trial period for you to try out the machine before you commit to a rental period and rental charges can include maintenance cost and ink cartridges which represent 100% peace of mind. Be careful when looking for a pricing deal since your franking machine should perform all the tasks that your business requires to succeed. Buying the wrong machine and then having to upgrade shortly after could mean that you lose money so always be realistic with your needs even if it means you pay a little bit more in the beginning. If you purchase a lower volume machine and over use it then you will run the risk of mechanical issues, which may not be resolvable under a maintenance contract. The repair could cost you a lot and only offer a temporary solution because you will start to over use it again. There are only a handful of UK franking machine companies authorized by Royal Mail to manufacture and supply franking these machines to the public. Offering a wide range of machines and systems, Neopost offer you a range of products from working at home to running a large corporate mail room. Their most basic, low volume model is the IS-240 also known as the Autostamp2, which is designed for home office users that frank fewer than 15 pieces of mail a day. At the opposite end is the high-volume Neopost IS-6000, which can handle hundreds or even thousands of letters and/or parcels per day. Pitney Bowes is the original franking machine company and is currently the second largest in the UK. Similar to Neopost, they offer a wide range of models to meet your post needs. Their most basic low-volume model is the DM50 Digital SMART Franking Machine, which is good for people only looking to send a few pieces of mail per day. Their highest-volume model is the Connect+ 3000, which can handle up to 18,000 letters per hour and has an optional scale that can handle parcels up to 149 lbs. FP Mailing (Francotyp-Postalia Ltd) offers a range of mailing equipment and is aimed at offering customers a high quality of service. They are known for their cutting edge technology and production of new products. Their products range from the basic simple MyMail system to their popular mid-volume PostBase series of franking machines, and all the way up to the high-end Centormail 300, which can handle some of the most demanding mailing tasks you can throw at it. Compared to the other franking machine suppliers above Frama offers comparatively few models. Instead they focus on perfecting the ones they do have to meet the needs of select users. They’re entry level model is called the EcoMail and is designed for office users with very modest mailing needs. At the other end of the spectrum is their high-end, high-volume Mailmax II Speed a true franking machine. Enter your details into the form at the top of this page and Expert Market will contact you to discuss your office needs in more detail. When we’re clear on what you need and your budget ,we’ll match you up with leading UK franking suppliers, so that you get the best deal around. How Can I Post Franked Mail?